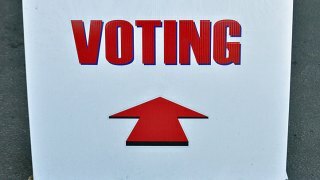 With Election Day less than a month away, Tuesday is the deadline to register to vote in New Jersey. Information on where to register in person can be found here. Voter registration applications are also available online. To register voters must be 18 years old by the Nov. 4 election and a resident of New Jersey for 30 days prior to the election. Voters must also be U.S. citizens and cannot be currently serving a sentence, probation or parole because of a felony conviction. New Jersey voters this year will decide on a U.S. Senate race, two proposed constitutional amendments and a dozen congressional races.